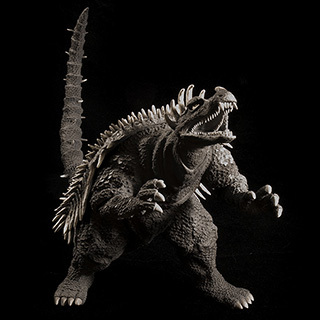 The Toho Large Monster Series Angurius 1968 was first released in Japan in 2012. It was reissued there twice more; once in 2015 and again in early 2018. That last one is going to be released any time now here in the U.S. If you’re on the fence about whether or not to dive into the Large Monster Series, then this review is for you. Rich Eso reviews the Toho Large Monster Series Anguirus 1968 (東宝大怪獣シリーズ 「アンギラス（1968年版）」) vinyl figure by X-Plus. This is actually an older review which was originally published in 2014. I’m embedding it in a new post because it’s highly relevant now with the upcoming Diamond Reissue due out in early June 2018. SuperGodzilla1974 reviews the X-Plus Godzilla Kaiju 12in Series Anguirus 1968, the North American (Diamond) Reissue of the Toho 30cm Series Anguirus 1968 from Destroy All Monsters. After the review he makes the BEST argument for reissues that I’ve ever heard or read. See more of his videos at his YouTube Channel. Matt Jacobson, a.k.a. Gojira851 unboxes and reviews the Godzilla Kaiju 12in Series Anguirus 1968, a North American reissue (Diamond) of the Toho 30cm Series Anguirus 1968 vinyl figure by X-Plus. 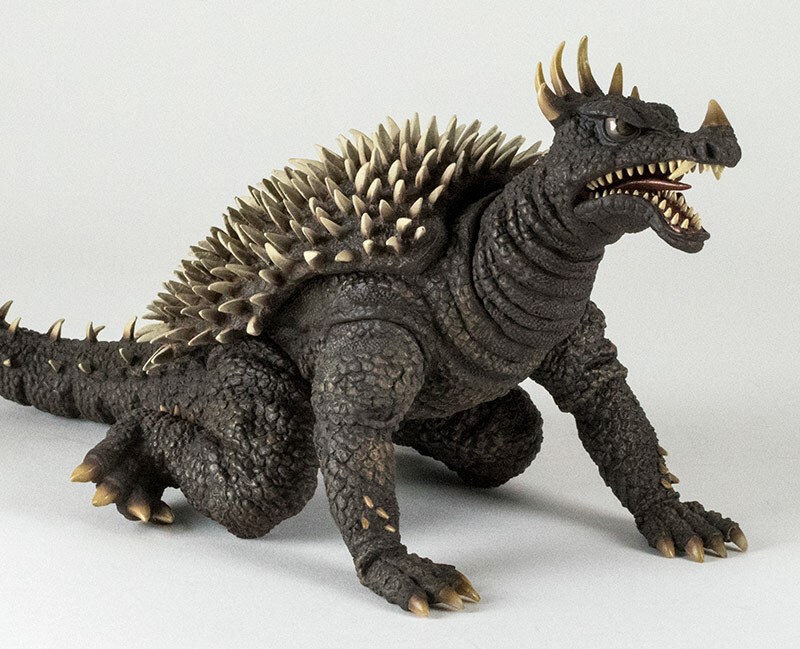 GodzillaFanFreaks reviews the Toho 30cm Series Anguirus 1968 (Diamond Reissue) X-Plus. Rich Eso reviews the Toho 30cm Series Anguirus 1968 (North American Diamond Reissue) by X-Plus. Brutazilla reviews the Toho 30cm Series Anguirus 1968 (North American Diamond Reissue) Vinyl Figure by X-Plus. Outside the Box Reviews takes a look at the Toho 30cm Series Anguirus 1968 (Diamond Re-issue) by X-Plus. See more videos by Outside the Box Reviews here. 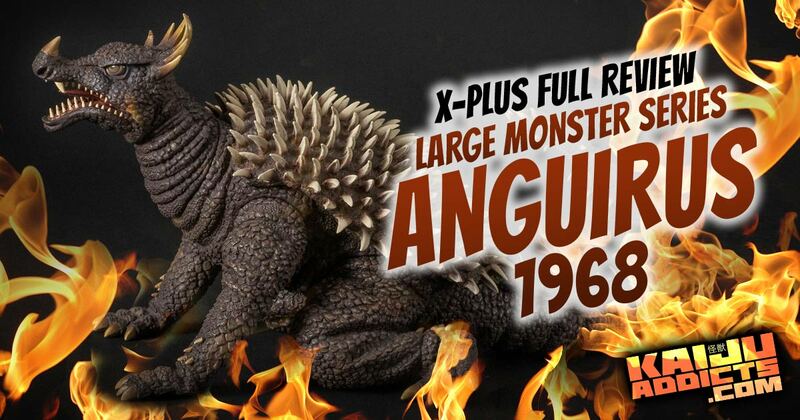 X-Plus has just announced that they will be releasing a Toho 30cm Series Godzilla 1955 and Anguirus 1955 Limited Showdown Set (東宝30cmシリーズ ゴジラ1955&アンギラス1955 限定対決セット). It will be available from both Bandai and the X-Plus Ric Boy Online Shop. 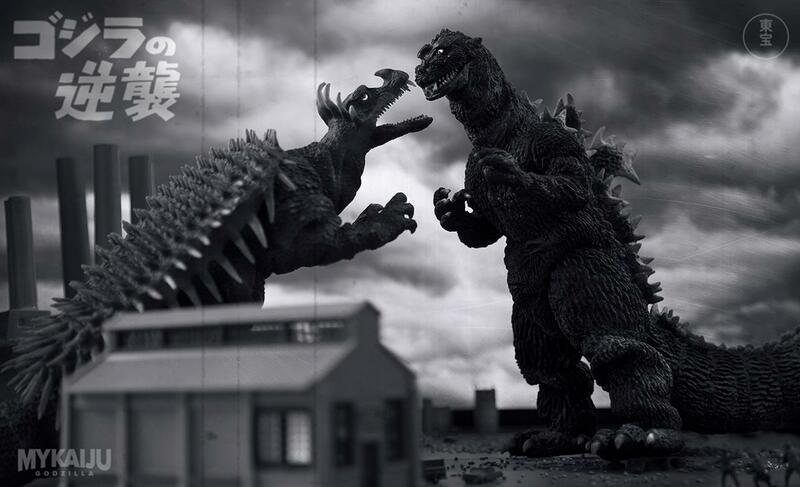 This set will be yet another re-issue of both Toho 30cm Series Figures combined into one set. Each monochrome figure was originally released, separately, in 2011. A colorized set was later released, also in 2011. Most recently, both figures were re-issued again in 2014, but licensed only for North America. Because of the recent Diamond Comics Distributors releases, these figures are not rare in the West by any means, but for mainstream Japanese collectors who haven’t seen these beasts for four long years (although Diamond reissues are readily available in shops like Mandarake), this is a great opportunity. If you missed out on this pair, this is a great chance to grab both in one go. And for a hell of a price! ¥30,000 for the set (currently USD $249). 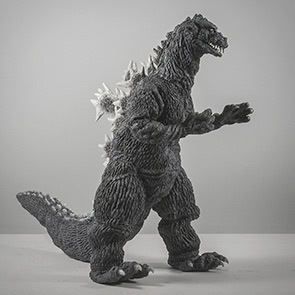 Curiously, there is no mention of a pre-order deadline; only a release date: May 2016 (the same as the DeAgostini Godzilla 1954 Train in Mouth figure). • You can click here to pre-order them from Bandai. • Or, you can click here to order them from the X-Plus Ric Boy Online Shop. Some collectors have voiced concern over yet another batch of re-issues. But, this is a Bandai release and it is not taking up a slot in X-Plus’ regular release schedule. Think of this as a bonus, especially if you don’t have them! John Ruffin has been turning out awesome images with his X-Plus collection lately like there’s no tomorrow. 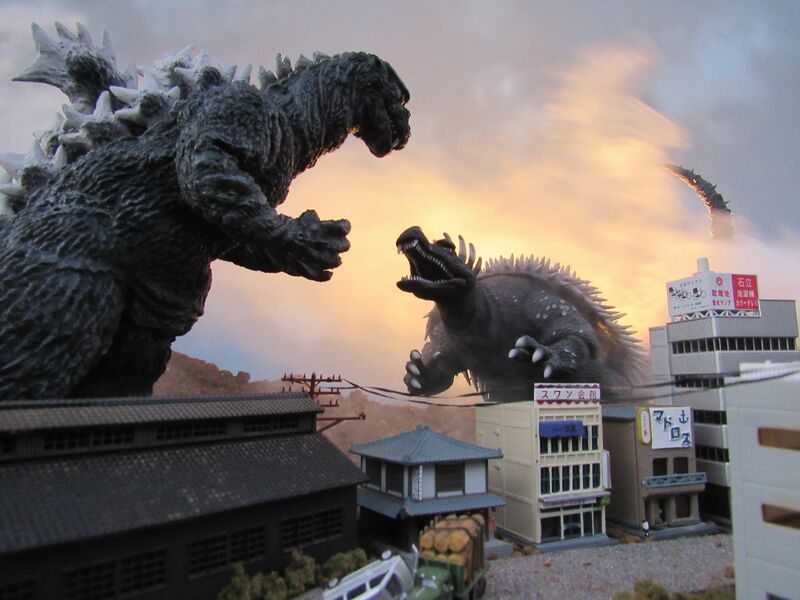 Here, he created a scene from Godzilla Raids Again with the help of his Toho 30cm Series Godzilla 1955 and Anguirus 1955 vinyls by X-Plus. 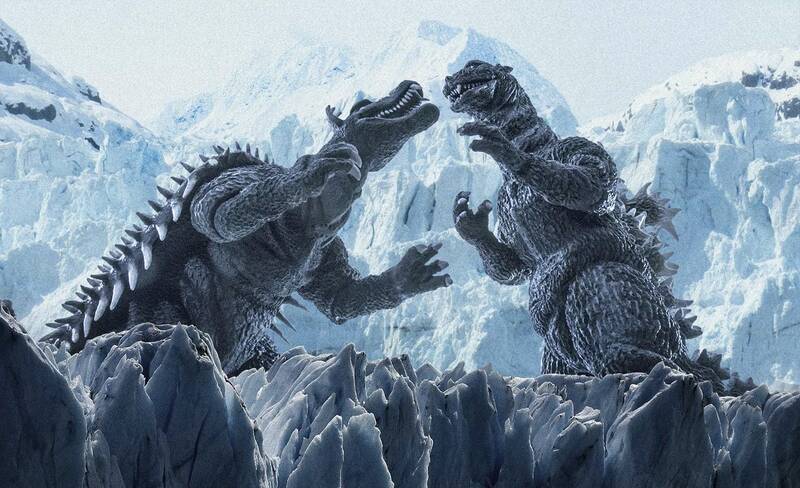 And just before that, John came up with this piece from King Kong vs. Godzilla. John is seriously one of my top three fan/collector Godzilla artists. Keep them coming, John! 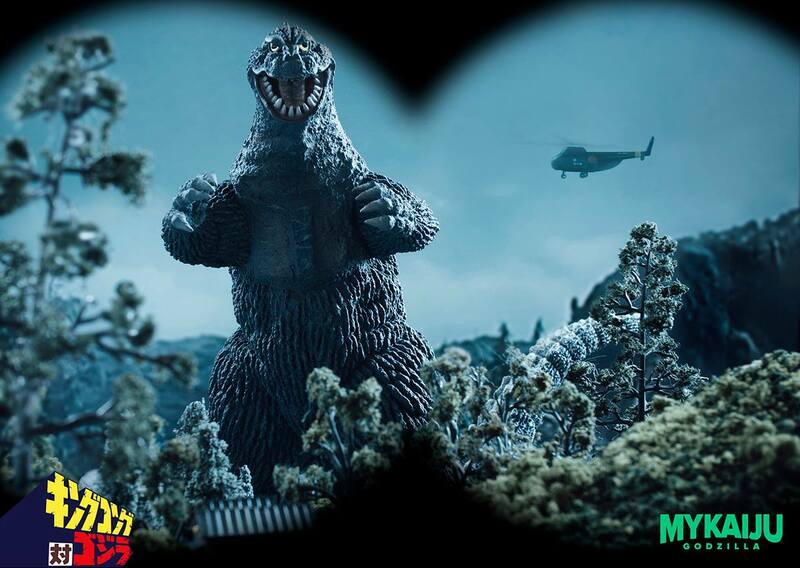 Visit John’s Gallery here on Kaiju Addicts. Or, better yet, visit his home base at MyKaiju.com!